Whatsapp also offers you the possibility to use WhatsApp on your PC or Mac. You can use the website web.whatsapp.com and send messages to your contacts. These messages are also visible on your phone. To do this, there are a few things you need to arrange. Your device must be on the same network as the computer. You must also use the Google Chrome browser and you need an Android, Windows Phone, BlackBerry or iPhone with Whatsapp. For iPhone it is also necessary to run the app in the background, and that it is not shutdown by the app switcher. 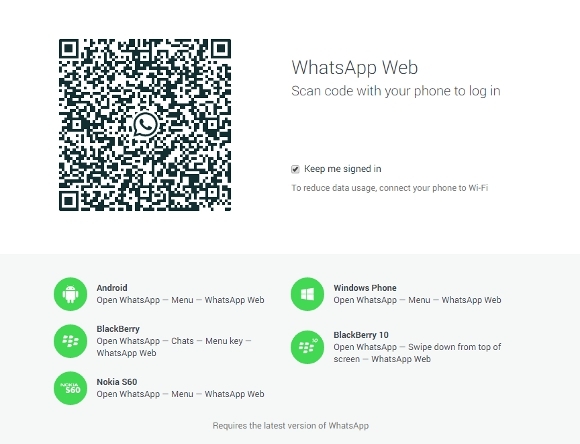 If you go to web.whatsapp.com you see a QR code you can scan with your phone. This allows you to connect to the website (and your computer) with your WhatsApp account. After that,you can start sending messages. Next, scan the cod>e like the bottom of this screen. Whatsapp now connect to your account. Why Whatsapp Web does not work with other browsers? Technically this is not possible today but expected soon Whatsapp that it can with other browsers. At the top of your contacts list, you see the menu icon (three dots). If you click here you can choose Unsubscribe.